Onslow United Transit System, Inc.
Onslow Untied Transit System, Inc. (OUTS) is accepting applications for Part-Time Transportation Drivers. 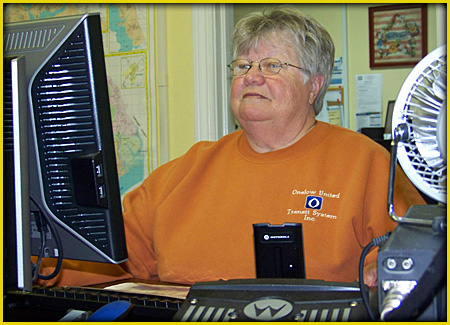 Driver will be responsible for assisting passengers, maintaining records, and care of vehicle. Must possess a valid North Carolina driver's license; have at least three years driving experience with a good driving record and clean background check. Must have the ability to certify in special needs assistance, defensive driving, CPR and first aid. This position is subject to pre-employment, random, post-accident and reasonable suspicion drug and alcohol testing in accordance with Federal Transportation Administration guidelines and local OUTS policy. Job description and application can be picked up at 605 New Bridge Street, Jacksonville, NC. 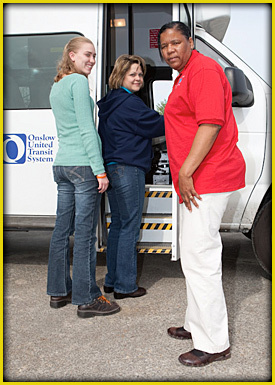 Onslow United Transit System, Inc is an equal opportunity employer and a Drug free work place.